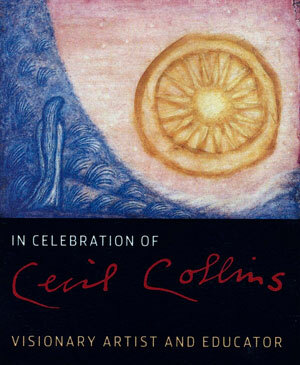 This article was featured in the book In Celebration of Cecil Collins. 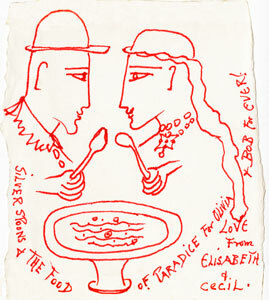 This is a little drawing that Elizabeth did to accompany their wedding present to us of some Georgian silver teaspoons. 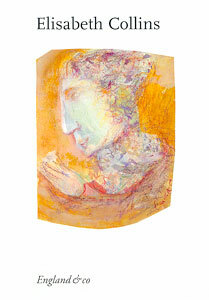 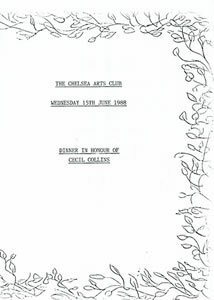 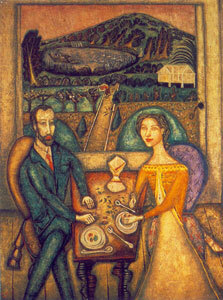 The front cover of the programme for an exhibition that Elisabeth held in London in September 1996. 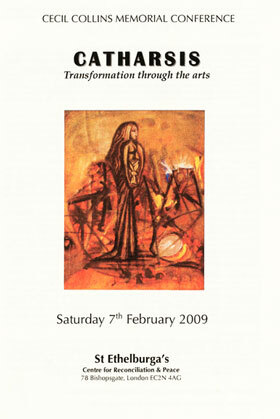 To see the whole programme please click here. 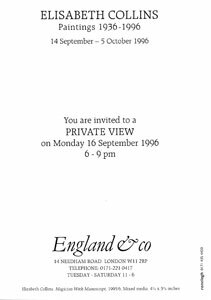 My invitation to the private view of Elisabeth's exhibition. 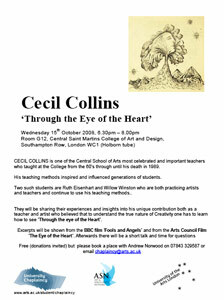 'Through the Eye of the Heart' a talk at Central Saint Martins College of Art and Design, 15th October 2008 . 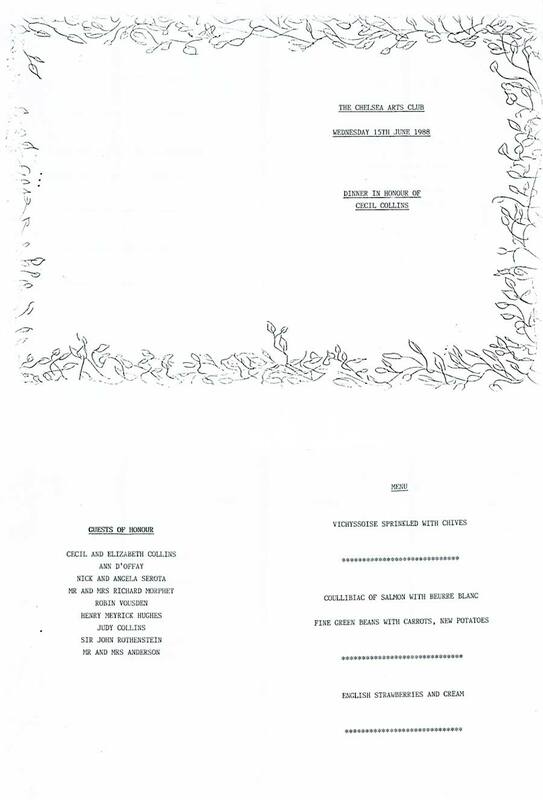 To elarge please click here (PDF). 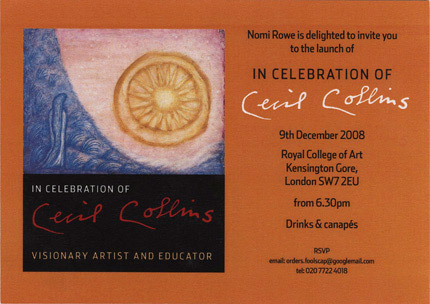 This beautifully illustrated book was compiled and edited by Nomi Rowe who was a pupil of Cecil's at the City Literary Institute for five years. 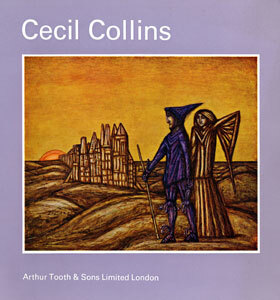 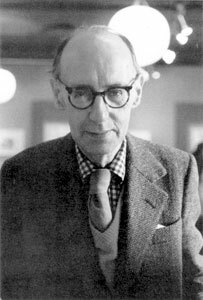 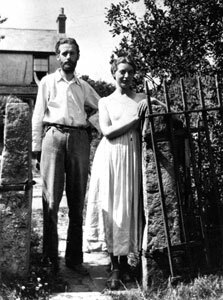 "In Celebration of Cecil Collins has collected together these very personal accounts in order to preserve the vitality of Cecil's presence and to make his legacy known to a wider public." 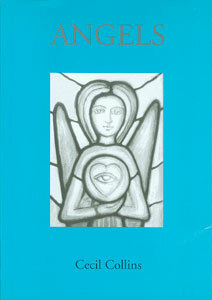 Click here to read my contribution to the book.